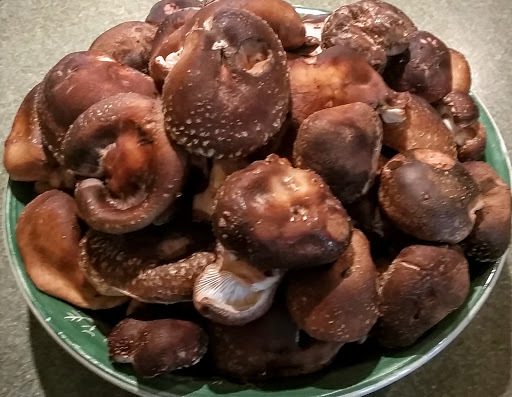 Early Fall is a time when the conditions are often right to produce an abundance of edible wild mushrooms. 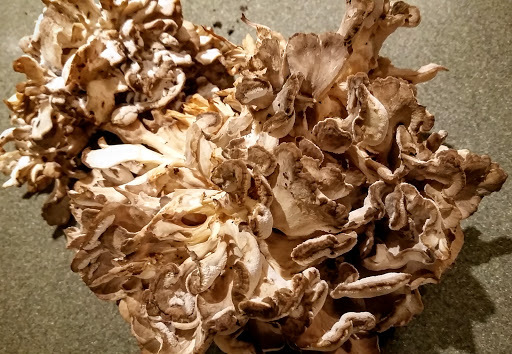 Wild mushrooms will make you forget about bland white supermarket mushrooms. 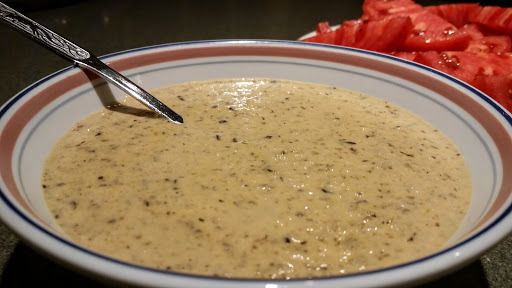 A classic mushroom dish that not only helps use a lot of mushrooms, but also chases the season’s early chills is Cream of Wild Mushroom soup. 12 cups cleaned and thinly sliced wild mushrooms (I used half Shiitake from logs I planted in our yard, and half Grifola frondosa (aka Maitake or Hen of the Woods) found in the woods. 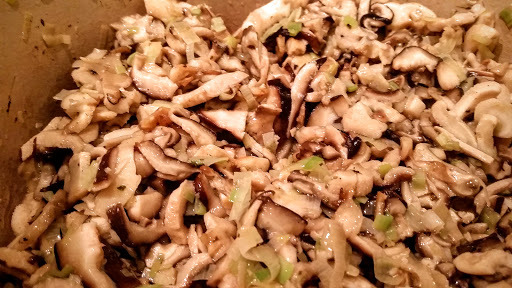 In a 4 quart Dutch oven, sauté the mushrooms and leeks in the butter. Add the salt, pepper and marjoram. 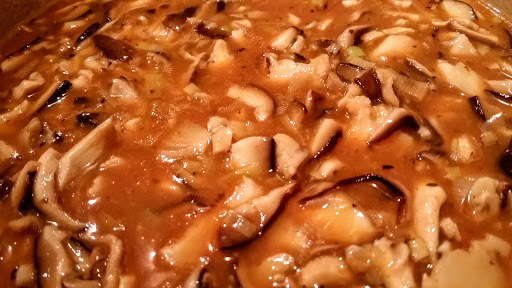 Cook until the liquid from the mushrooms is evaporated. Add the flour and tomato paste. Stir to blend well. Add the veal stock. Bring to a low boil, then simmer for 20-30 minutes. 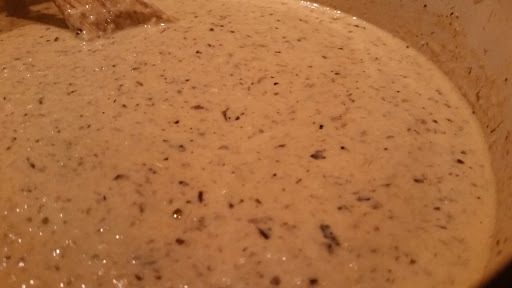 Blend the soup with a stick blender. Add the lemon juice. Stir. Stir in the cream. Taste and adjust seasonings if needed. Add vermouth and serve. This soup is great on its own with some crusty French bread, but it can also be served over noodles or chicken to make it into an entrée.